There's now speculation that the Lakers are interested in Bender over Ingram. We have the potential for another Hardaway, Webber, Bradley situation. Look it up. Sixers draft Simmons, Lakers take Bender, Celts take Ingram. 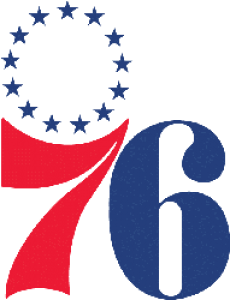 Sixers trade Simmons for Ingram and Bradley or Smart or future BKN pick. The "speculation" you are talking about was really just a writer making a point as to why Lakers should consider drafting Bender over Ingram. Lakers is going to draft Ingram. 1. If the Lakers take Bender, Boston will take Simmons/ Ingram at 3 and keep him. 2. If the Simmons/ Ingram go 1/ 2 or 2/ 1, Philly MAY be able to get No. 3 for Okafor. But forget getting #3 and a rotation player. Best 76ers could get is 3 and 23. And because 2nd-round contracts are not guaranteed, Philly would be better off with 31 rather than 23. First off. The Celtics gm talked about putting together a package for Okafor at the deadline. Package meaning more then just the third pick. Thirdly I don't see why Boston would keep Ingram or Simmons. they would pick trade the pick for more value because they already have a sg and sf. They have plenty of depth as well. Just doesn't make sense. They need a center! If we need a center so bad and already have shooting guards and small forwards why would we trade away our starting shooting guard and all 1st team defense along with another small forward (which we only had Crowder as small forwards last season) for a power forward? If Ingram falls to us at 3 we are either keeping him or trading him for George, Butler or Cousins. Obviously not straight up but he will headline the package. Also that package you are referring to I believe didn't revolve around the Brooklyn pick. It was other assets like out pick, Dallas' pick and some players. Our GM said that we weren't trading the Brooklyn pick unless it was for an already established all star. Never believe anything that comes out of Danny Ainge's mouth. If the Lakers really wanted Bender, they could trade down with the Celtics and get more assets and pick Bender at 3 if the Csltics really want Ingram. @phillyrich1 but I guess we can believe speculation? However, Biyombo has a player option this year, will opt out and Toronto will try to keep him for at least $10m per year. Terrance Ross has an extension kicking in next year for about $10m per year. DeRozen spoke very very highly of Toronto last night. He'll opt out and stay in Toronto for a $10m raise. Here's the deal: Terrance Ross goes to the Sixers for Canada's own Nick Stauskas. Sixers also get Deion Wright, PG in the deal as compensation for taking on Ross's contract. Raptors would probably want the OKC pick for Ross. Ross has a terrible contract for his calaber of player. Sixers pass on the 10 mil for the next three years. No need to waste money on an average player. His contract is going to look pretty good in about 6 weeks time. So your telling me back ups are going to make 10 million a year? Tregib with the new cap, players will get crazy contracts, there already are bench players making that much like Frye who gets like 8 million. Be prepared for contracts that will be making you scratch your head. The Ross contract may not look bad in a few months. However, given the increase for DeRozen and Biyambo plus the Ross contract kicking in, someone will probably have to go. That's AT LEAST a $30m increase to the cap. Ross gets little significant time. The PG gets no significant time. Stauskas makes very little and is Canadian. Don't underplay the Canadian thing. My gosh, Toronto signed Bennett earlier this year. Why? HE'S CANADIAN! I know the talent match up is a little weird but this is about dollars and keeping DeRozen and the new hero, Biyambo. I guess if they want the OKC pick too I really don't care that much. Lakers wind up with picks 2 and 3 from last year's draft and get their franchise Center. Sixers get picks 1 and 2 from this years draft and land both Ingram and Simmons. Philly, Lakers would rather have Ingram as they were impressed with their interview and would be "thrilled to get him". He provides nice spacing and could be a solid defender and could be a 20 point scorer. Okafor doesn't fit Waltons new system. Lakers don't want Okafor. Back to the basket centers aren't needed anymore. That's horrible for the Lakers. Okafor was exactly what he was advertised to be; a really good scorer with subpar defense and a lack of elite athleticism (Al Jefferson in his prime) . The top 2 players in the draft project to be far better than Okafor, and the Lakers decided to pass on him at 2 last year. Why would they trade a better player at #2 this year for a guy they passed on last year? Would be incredible for the sixers. But not worth it for the lakers. Ingram and Simmons both project out better than okafor. Both have top notch two way potential. At this point, okafor is an offensive specialist. It's more likely it would be Oakfor and the lakers pick returned next year for the 2 pick. Lakers might agree to that too as it helps them a lot. Sixers have legit starting lineup, real NBA guard that might bring legitimacy to the Sixers for FA signings, and clear the logjam up front. If they pick Ingram and Saric comes over, Covington doesn't have a spot. Sixers still have the Kings pick for the future. Suns clear the logjam in the back court, get the LA pick back for next year's deeper draft, get dynamic big man, and still pick at 13. Get serviceable shooter in Covington. As the Suns I'm all over this. Okafor > #4, Laker pick > Knight. Hmmm. it ain't bad. Suns woukd then need to find a "home" for Chandler somewhere. and then possibly package #13 and #28.to move up in this draft to.8,9.where there are some intriguing projects (Sabonis, Valentine) . It's a tough call. I don't like knight though so I would pass. PHXfan, there is no way 13 and 28 get you to 8 or 9. In 2014 the Bulls used the 19th pick to move up from 16 to 11. So the 28th pick won't move you up 5 slots. And since you Phoenix fans like this so much, I must have undervalued the trade. I'm now asking for #13 from Phoenix and the Sixers will give #24. Ironically last year Knight was traded for that very same Lakers pick as part of a 3 team trade so I wonder how that would influence the trade dynamics (not sure if he was resigned at that point so could influence the value also with injury last year) . However, with the Lakers predicted to potentially make some major moves this offseason that Lakers pick can't have nearly as much value. With the draft order set, this is going to be a fantastic off-season for trades. All these picks fit a team need. Which brings us to the Suns and Wolves. This is where the guards start to go off the board. And the Suns and Wolves do not need more guards. suns should trade up to top 2 or down to 6 or 7 and take brown. I agree with trade potential especially with some stars who look available and teams cautious of players leaving for nothing next summer and wanting to offload them before value tanks next year. I think Celtics will be look aggressively to trade their pick as they don't want a potential project in Bender and have truck-load of picks and pieces to make moves to turn themselves into a contender. As far as the Suns I think they need to make a move to trade Knight or Bledsoe since Booker needs to start. It also makes sense for them to potentially move this pick. They also have young pieces in Warren and Lens and #13 and #28 picks that could be part of a big deal (and likely want to shed Chandler's contract) . For the Twolves I don't think they are in love with Rubio as they've been shopping him so I could see them keeping the pick and drafting Dunn or Murray as they continue to shop him. They could try and group them in a big trade but I see them as least likely to make a deal as they already have a young lineup with their stars in place and just need to get them experience and grow up maybe sign some veterans for more of a tutoring role than playing large number of minutes. I'm back on Simmons for #1 pick. He really does have a nice release on his jumper. He just never shot it because he didn't have to. And if Saric doesn't come over then don't need to trade okafor or Noel. Phillyrich : I agree, Simmons is the pick. I am hoping Dario comes over, the sixers need as much talent on the rostwr as possible. Saric SAYS he's coming over yet hasn't signed anything yet. It might be in his best interest and that of the Sixers if he stays one more year. That gives Sixers a year to see if Embiid can hold up before trading someone. Philly. Saric can't sign anything until the playoffs are over. Clarification from anyone would be helpful. If the Sixers trade the Lakers back their pick, what happens to the Lakers obligation to Orlando? And because of the Stpien Rule, I think it matters if the pick is traded back to the Lakers before or after this upcoming draft. Well as of now the lakers owe the Magic the pick two years after the Sixers pick conveys. So I would assume. If we trade the pick back to them then two years from 2016/ 17 the pick would go to the magic assumin the protection meet, etc. So not next years draft but the year after. But I'm not 100 on that. Two years or two drafts? If trade is before this draft then Orlando pick next year? Does D. Rose have any trade value? His contract is yuge, he can walk after this next year, his game has declined, he's got knee issues, and he might have an additude problem too. Do the Bulls get assets in a trade of Rose or give assets in a trade of Rose? Pacers should really consider trading for him. Maybe George Hill and #20 can get the deal done? Rose definitely has value still. If you look at the first month or two, then no. But he really picked it up from February on. Guy was averaging like 20pts, 5rb, 5 assts, 45% fg and 35% 3. He definitely appeared more like his old self. Think its jsut a bad matchup having him and Butler in the same backcourt. Not enough ball to go around. Philly you made me get out my Drose shirt and made me shoot some hoops. Thanks. I"m back on Ingram with the top pick. He's a stud, no baggage, has the right addytude, plays a position of need. Okafor and Noel are off the market. going to run them and Embiid and Saric as the bigs. Anyone want to make offers for J. Grant or R. Holmes? J Grant to Lakers for pick 32. Done. There will be a couple decent guard prospects at 32. Or I can use 32 to move up with my 24/ 26 picks. I actually wouldn't mind grant. What would you take for him. That's a good question. I think he's been terribly coached. For some reason he either shoots three pointers or crashes through players for 3 footers. If he could build the in-between game he'd be very effective. Actually a good shot blocker. Doesn't have a big contract or big ego. He still has 2 years left for basically nothing. Perfect bench guy. Hmm. Any interest in a bazz for grant and an early 2nd? Like it. Not sure Murray is there at 5 but heild or Dunn will be. It was all perfect- until you had to go Dionne waiters. Teague has a funky contract that can be renegotiated and extended 3 years after signing. So that's in July. If he agrees to a big hike this year ($17m? ) and a reasonable 3 year extension, I'm not opposed. He will be aging out just as lottery guys are ready to take over. He also makes it easier to bring in a mid tier FA guard to play along side. 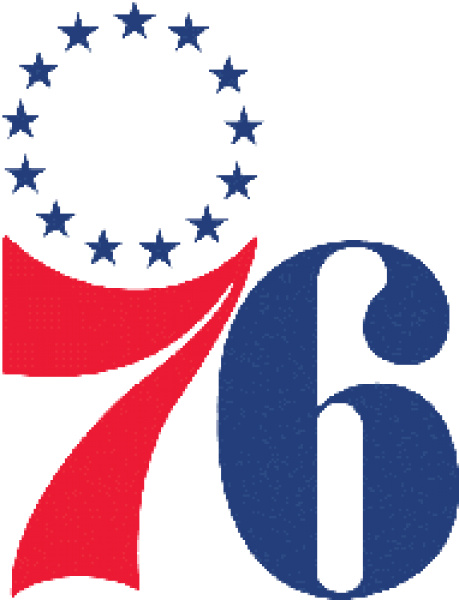 Remember, Sixers have up to 5 lottery picks in 17, 18, 19 drafts with possibly two in the 4-8 range next year. Those guards will be learning from then taking over for Teague or someone like him. For as much as I mock James Young (who I liked coming out of the draft), RJ Hunter has actually scored fewer points than he has. That's right. Hunter has scored 97 career points vs Young's 134. However, combined, they average more ppg than Anthony Bennett. So there's that. Maybe these are two young kids that need a fresh start. But they really don't carry much trade value. Maybe they're each worth a 2nd rounder? As for the trade, Sixers get #3 for Ok4. They can turn that into my guy Jamal Murray. All in all, I don't think Boston pays enough for Butler in this deal.